We have the right sized skip bins for your clean up. Our services are fast, reliable and you won’t have to worry about dealing with the mess. We cover the Sydney Metropolitan Area and offer Same Day Delivery and Turnaround. Enquire today or call us to assist you on an emergency service. 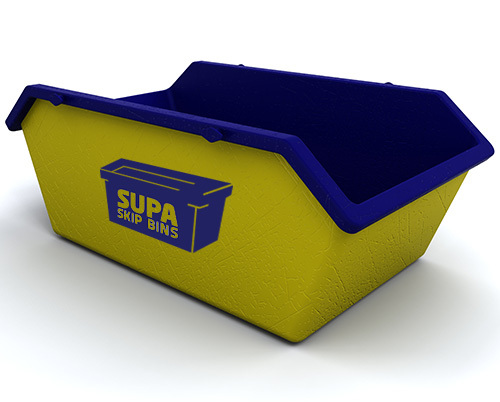 At Supa Skip Bins we ensure that your bin requirements are always met. 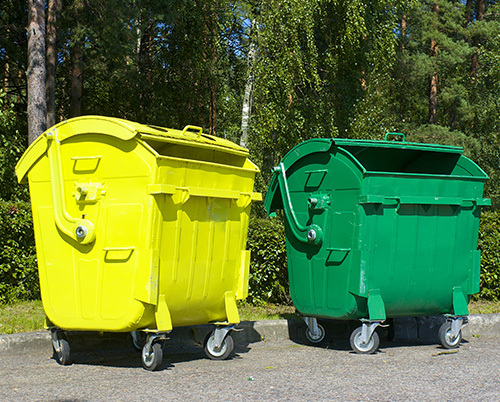 We are Sydney’s leading provider of Skip Bins. We offer a wide range of Skips and are always ready to help! No matter how big or small the job we have the right options for you! 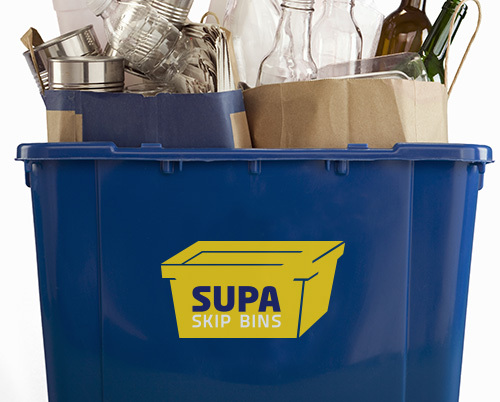 What can you put in Supa Skip Bins ? Bins found to contain Asbestos will be back charged, at the rate of an asbestos bin like that size delivered. 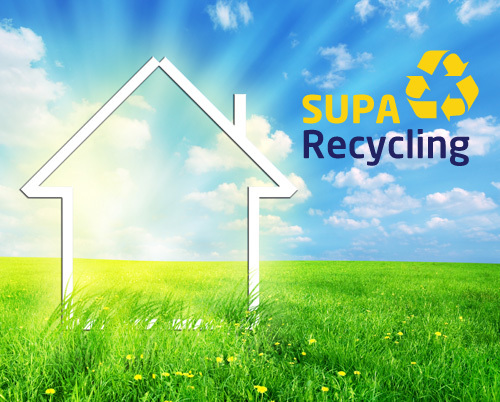 At SUPA SKIP BINS we pride ourselves on service, whether to the builder who needs a 2 to 3 hour turn-around on a site bin or a domestic customer who needs a bin for that urgent weekend clean up, we are there at your service. We predominantly supply service Sydney wide. 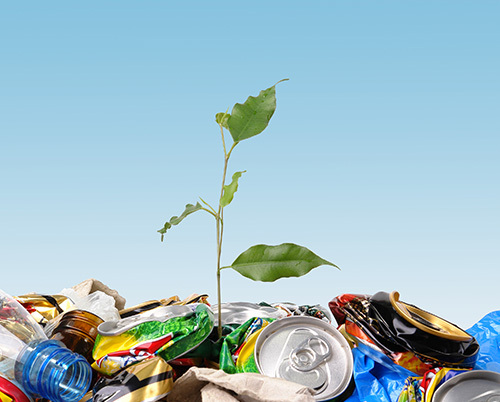 We recycle the waste we pick up, with most being re-used rather than being land fill. Products such as metal including iron, steel, copper, aluminium, lead are sorted for individual recycling. Wood is chipped for garden mulch, soil is screened, bricks & concrete are crushed, glass is recycled, green waste including tree stumps & branches are taken to a green recycle centre. Light mixed waste that cannot be separated an further is compacted & taken to landfill. All in all, we break it all down to ensure it makes the best result for the environment. Food, Paint of any type, liquid waste, engine oils & grease, Asbestos & older fibro, Chemicals, Needles & Syringes, Acids, Noxious materials, Solvents, Gas Bottles, Explosives, Fibreglass insulation, Batteries, …and any other environmentally unfriendly substances. A cubic metre is a unit of measure that is 1m high x 1m wide x 1m high. To help visualise what that would look like, our general rule of thumb is a level box trailer is approximately 3/4 of a cubic metre or to work it out look at the pile of waste and take 3 measurements, length multiplied by the width multiplied by the depth. What sizes do the bins come in? The bins vary in size depending on the volume required. We offer skips ranging from 2 metres to 11 metres. Do you have any bins with doors? 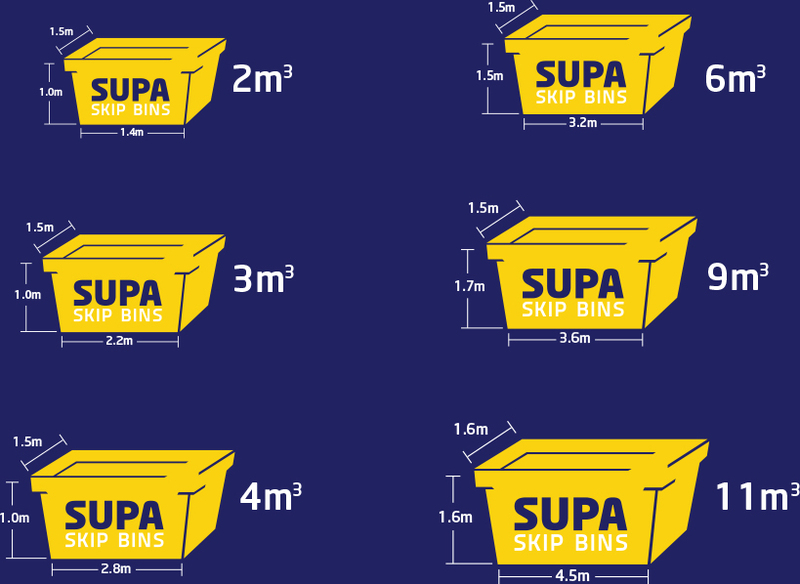 Yes, our bin sizes with doors are 4, 6 & 9 metres, including hook lift bins. Please note that our bins are not suitable for dingo’s, bobcats or mini excavators to drive into. Our quoted hire period is up to 7 days. If you require the bin for longer than 7 days please contact us for our extended hire rates. What do I do about Asbestos disposal? We can help you by supplying a 2m3 or a 4m3 skip bin which is plastic lined to hold asbestos. Once filled the skip is then collected and disposed of at an approved landfill. We also supply Asbestos bags for small amounts. There is no exact way of telling if you have asbestos, but as a general rule houses pre 1980 are likely to contain some in the fibro cement sheeting found in the bathroom and eaves of the house. The easy way to identify this material is via its appearance. 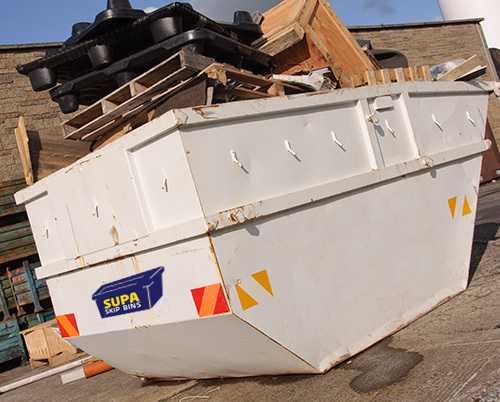 The maximum load for our skip bins are 1 tonne per cubic metre. This is the safe lifting limit. Max 4m3. Larger bins may not be filled more than half way with solid fill. Should you wish to put the skip on the road, it is necessary for the property owner to make application to the local council. Can we put the bin on the nature strip? Generally, yes, however we cannot block pedestrian access or utility pits. Some Councils will require a permit which you will need to arrange prior to the skip bin being delivered. On the day of pickup and drop off, access is required from 7am. Can you chat to your neighbours on the day the bin is being delivered or picked up and ask them to leave room for our truck? If access is not possible we may need to charge you a fee to cover costs for our driver to return at another time. 24 hours notice is ample. Depending on the availability of bins if you contact us before 10am we may be able to deliver a bin that same day. What happens if the driver can't unload the skip? We will contact you and advise you that we are unable to remove the skip due to the overloading. We will then arrange for you receive another skip from us to transfer the material into. This skip will be charged at the stated rate. We require payment either on booking or delivery, payment methods accepted are MasterCard, Visa, Cheques or Cash on delivery. Cheques must have drivers licence details on the back. Generally no, but if you are concerned, we recommend that you provide two or three lengths of timber to place under a bin if your driveway is painted, stamped or tiled, or if you’re just concerned about possible damage. The timber should be not less than 2 metres in length. Our trucks weigh approximately eight tonne before they are loaded. Unfortunately, driving on lawns can cause some damage. We make every effort to ensure we don’t. How wide is the truck? Will it fit down my driveway? That depends on the shape and width of your driveway and what’s around it. We can request it is left in the driveway but we leave the ultimate say to our drivers as they are the experts at manoeuvring the trucks. Our trucks work with a hoist system that lifts the bin up then lowers it off the back of the truck, therefore the bin cannot be placed under things such as trees, carports and garages. You need to allow clearance of approximately 4 metres in height. The team at Supa Skip Bins love what we do. We truly enjoy helping people. So if you have any questions or need a great quote, do not hesitate to speak to one of our friendly staff.